Ok, I've been meaning to post these pictures that vocaltaffy sent them almost three weeks ago. Apparently in California there is a surplus store where you can buy scoop shop sized containers of ice cream at incredibly low prices. When he sent the first few pictures I was thinking that the product must be past the expiration date right? NOPE! Still has time left on it! Yes the container is a bit beat up, but it's not too bad. At this size container, you could just scrape off the top if you wanted to. And one more shot for good measure. It amazes me that you could have this much ice cream for just eight bucks! That's nuts! They also have Dreyers (Edy's) for six bucks! So the big question is: If you had access to this store, would you buy these? Thanks again to vocaltaffy for the pictures! Um...of course!!!! 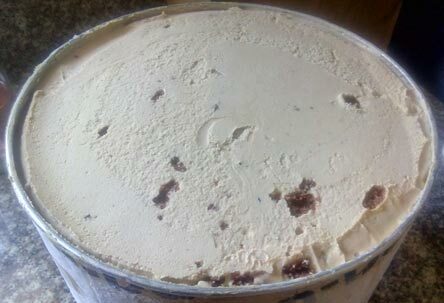 I have an extra freezer largely filled with ice cream I buy on sale...who can resist pints of BJs for $1.25 or half gallons (well, fake half gallons) of Breyers for $1.67??!! No such thing as too much ice cream, so if I could get good quality ice cream for much lower than a supermarket (not to mention scoop shops), I'm all for it! As much as the little voice inside my head is screaming yes, no, no I would not! I would keep myself far away from such a place! I hate myself enough after finishing an entire pint of ice cream, if I had access to these bad boys then I would lose all control and be five times my size by next fall. However, for parents it would be incredibly helpful for planning birthday parties! YES! This reminds me of when I was young we had an extra freezer in the basement. 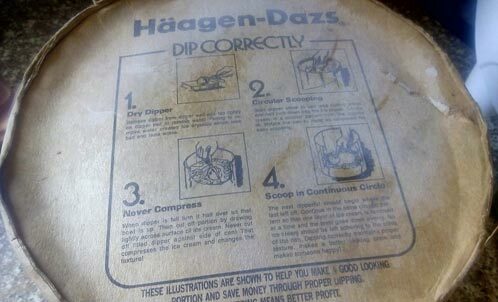 We use to buy those huge containers that Baskin-Robbins scooped out of. I think they were 5 gallons at the time. I realized years later why my Mom was in the basement doing laundry so much😂. I don't have a deep freezer, so as long as I could squish it in the regular freezer I say why not? 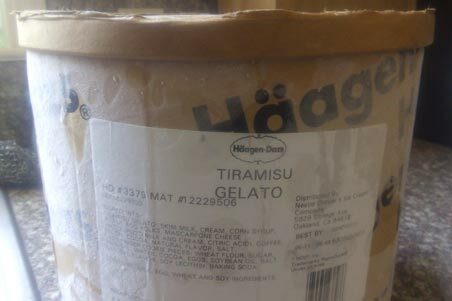 It's frickin' Hagen Daz!!! I would. Provided it's not a beat up container such as the one here. Would never trust food products that look that nad. Who knows what happened and who's touched it! I love the Grocery Outlet! I don't recall ever seeing a container that huge, but I am sure I would buy one & bring it to work to share with everyone. my Target and Sam's Club have some commercial sized ice cream containers.... too big/too much/ too many cals.... I would NEVER finish a container like that. OK if you will be having a party.